How old is that basalt flow? It seems that almost every visitor to Snow Canyon State Park in southwest Utah asks that question about the spectacular black lava flow that cascades over the red and white sandstone of the park, and which now forms the landscape of so many homes in the Santa Clara-St. George area. Until recently, the answer has always been, “We don’t know, but it is young,” followed by a plethora of estimates ranging from a few hundred to several thousand years. Our estimate, based on indirect evidence including amount of weathering of the surface of the flow, erosion around the edges, and degree of soil development, was a vague “10,000 to 20,000 years” (UGS Open- File Report 339). Finally, we may have a more satisfying answer. Igneous rocks yield the most tightly constrained ages of any rock type because they contain radioactive isotopes that decay at uniform rates. Unfortunately, very young volcanic rocks (less than a few tens of thousands of years old) generally have not had enough time to produce a significant amount of the “daughter” isotope, and thus cannot be directly dated using the standard methods (except under ideal circumstances). When we mapped most of the St. George basin in the 1990s, we were able to obtain well-constrained argon-40 – argon-39 ages on nearly all basalt flows in the area, but never on the Santa Clara flow. 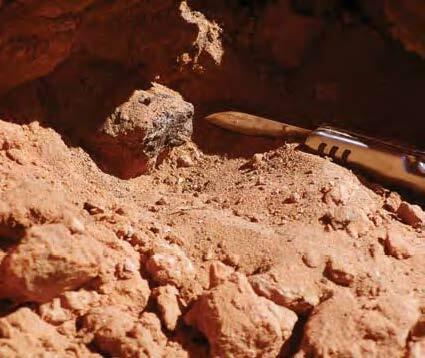 Since the basalt itself could not be dated, we concluded that the best chance of obtaining an accurate age was to find a piece of charcoal from plant material buried by the flow that could be radiocarbon dated (carbon-14 dating of charcoal is useful back to about 60,000 years ago). 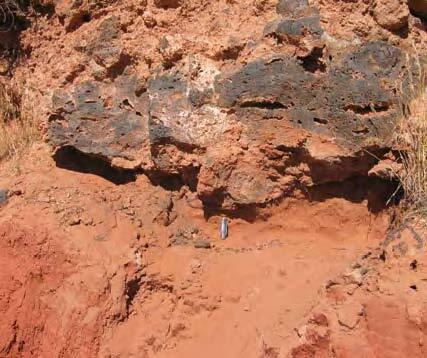 In the fall of 2005, we finally found the charcoal we had been looking for – a short woody branch preserved in loose sand just below the lava flow that appeared to have been burned by the advancing lava. The lab (Beta Analytic, Inc.) struggled with the sample, probably because of the high temperature to which it had been subjected, but finally obtained an age of 27,270 ± 250 radiocarbon years before present. We feel confident that this age is reliable, but we hope we can someday confirm or refute the results by finding another sample and using another dating method. Is the Santa Clara flow the youngest lava flow in Utah, as some have suggested? No – not even close. 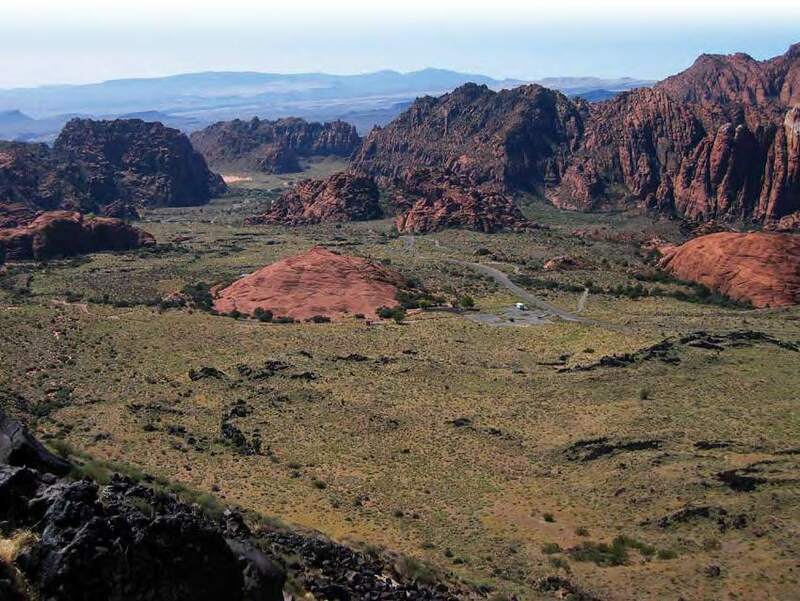 Though other young flows are poorly dated for similar reasons, we are confident that some flows in the Fillmore-Black Rock Desert area in central Utah, and on the Markagunt Plateau north of Zion National Park, are much younger. The Ice Springs flow near Fillmore may be less than 1000 years old (C.G. Oviatt, UGS Special Studies 73).